Reviewing first novels can end up an uncomfortable exercise. The promise of something truly good awaits–consider that both Interview With a Vampire and Twilight were first novels by their respective authors. So too have been a more than a few that vanished without a trace. And good riddance! Melabeth the Vampire happily manages to avoid the latter’s fate, at least in my opinion. 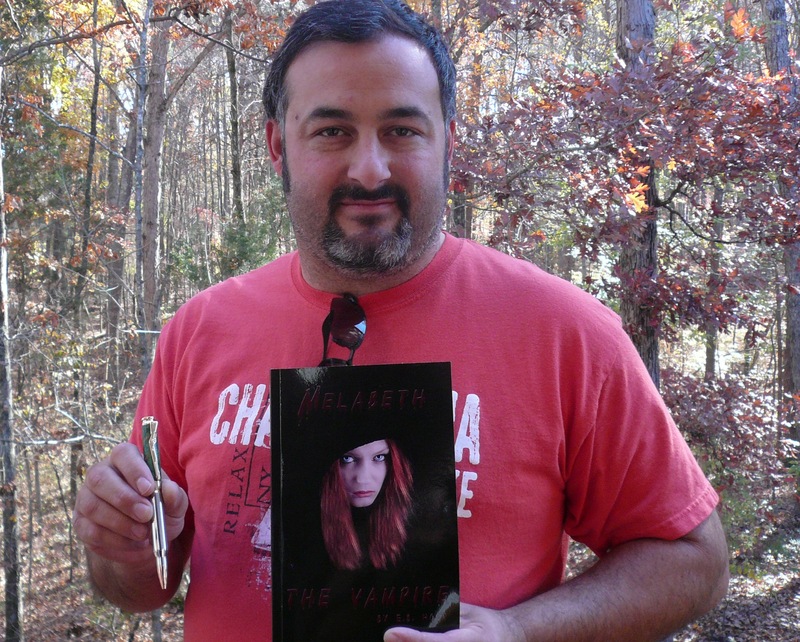 Author E.B.Hood focuses upon a trope which only recently showed up in vampire stories. From Polidori’s The Vampyre until more than a century later, in the Universal film House of Dracula, the actual experience of becoming a vampire seems never to show up. Most famously Anne Rice of course wrote a classic about it in the 1970s. She very nearly created a subgenre with that work! Hood tells a vaguely similar tale. By “vaguely” I mean his characters, plot and even fictional world vary vastly from that of Rice. Not a criticism! Who after all wants just a carbon copy of what has gone before? 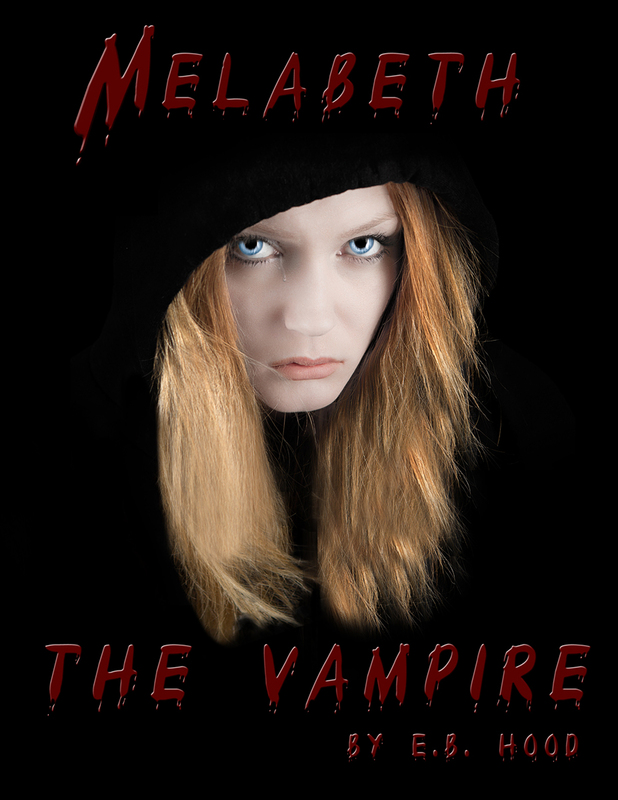 Quite simply, Melabeth is a murder victim, a teenage girl abused and left for dead when a vampire finds her. He makes for a mysterious figure, but he claims to have fallen in love with this girl. Nicks cannot be sure it will work, but he attempts to turn Melanie Elizabeth using his blood. Eventually, she crawls out of her grave, thirsting for blood but lusting even more for revenge against her killers. About this point she takes a new name. Melabeth. So far, so good! As you can probably imagine, the rest of the book chronicles her learning about vampiric existence, adjusting to a new age (she didn’t wake for almost two decades) and the search for those who raped and murdered her. Her quest takes several interesting turns, including a coven of undead including a terrifyingly powerful child, a chatty ghost and a cute boy from a family of witches. She also runs afoul of what amounts to the supernatural police–a covert group in charge (they say) of maintaining order amidst the secret world of the not-quite-human. First, lets begin with the most positive. It makes for an enjoyable and interesting read. The tale grabbed my attention and left we wanting more. No less impressive, all the characters did indeed come across as individuals, each with their own ‘voices’ and with a very believable dynamic between them. Trust me when I claim plenty of best-selling novels frankly fail to achieve that! I could name names! All of the above qualifies as high praise. Each reader must decide for themselves, but the central character appealed to me and her story kept me turning the pages. But let us also consider what’s wrong with the book–or at least what could have ended up much better. Let us begin with the writing itself. Hood generally writes in a clear cut style. Easy to read and follow. A sense of flow and rhythm that does much to aid the reader. All excellent! But he shows a tendency to slip into the bane of American writing–the passive voice. Not always. More, he avoids the (even worse) habit of making sentences not only passive but complex at the same time! That combination might as well be labelled a tranquilizer! He avoided that quite nicely. But frankly, he still uses the passive voice too much. More irritating was his shift of perspective without much warning. He doesn’t do this much, but when he does it jars. But that dovetails into what is arguably the biggest weakness of the book–its length. Melabeth the Vampire comes across as at least a quarter, maybe as much as a third too short. Everything takes too little time, as if he were rushing through the plot instead of taking his time. As as result, the character arcs suffer. Make no mistake–the character arcs are all still there. We follow and understand them. But they feel truncated. For example, the journey from gang-raped virgin to forthrightly lusting teenager in the title character seemed too short. Not in terms of time, but for what we experience through her eyes. And while David (her love interest) is seemingly an equally important character (he even has whole chapters from his POV) we don’t follow him nearly enough. As a result, his changes seem less comprehensible. Likewise, we don’t feel as he does for his family (whose back story, incidentally, seems needlessly complex–felt like a I needed a chart to keep all of them straight). This gets more and more problematical as the novel progresses. A final word–about world-building. Like Vampire: The Masquerade and The Dresden Files, we discover with Melabeth that our world contains an entire covert civilization in our midst. Vampires, spirits, sorcerers, etc. seem scattered everywhere. Much of the details of this seem terribly cool, such as the so-called City of Vampires (eventually we learn where it is and have the reaction “Of course!”). But here I have a slight complaint. Again it comes down to length, and its connection to pacing. We don’t really get a sense that this part of the world is (or even needs to remain) secret. Love how the author hints (successfully) at an entire world out there and we’re seeing only one little section of it. Very Harry Potter in its way. But because the whole story feels a bit rushed, we also don’t get to see many routine, constant efforts to Keep The Secret. In short, most of my complaints about the book consist of desiring more of it! Which qualifies as “praise with faint damnation” in my book. For the record, I look forward to the sequel.